Analysis: Released by the Raiders one day earlier, Roberts lands in a great spot when it comes to snap count. 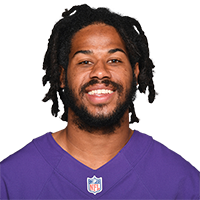 Baltimore's receiving corps has just two players (Willie Snead and Chris Moore) with receptions on their resumes, so Roberts doesn't have much competition for reps. That said, Roberts is joining a run-first offense under the direction of Lamar Jackson, which caps his potential output. Roberts was released by the Raiders on Thursday, Adam Schefter of ESPN reports. Roberts caught five passes on as many targets for 31 yards and lost four yards on his lone carry during Sunday's 35-3 loss to the Chiefs. Roberts brought in two of three targets for 14 yards in the Raiders' 27-14 win over the Broncos on Monday. Roberts caught three of four targets for 29 yards during Sunday's 30-16 loss to the Bengals. He also lost two yards on his lone carry of the game. 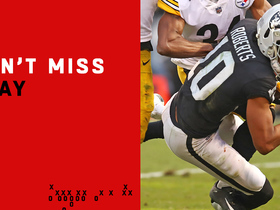 Roberts brought in five of seven targets for 76 yards in the Raiders' 24-21 win over the Steelers on Sunday. Analysis: Roberts cleared the concussion protocol in time for Sunday's contest and then made a critical 39-yard grab down to the Steelers' 7-yard line with 1:52 remaining. Roberts' reception total equaled a season high, and he's seen at least six targets in three of his last four games. 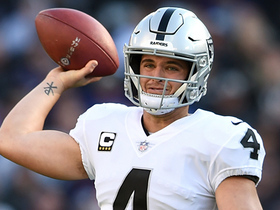 The four-year pro will look to continue hid solid rapport with Derek Carr when the Raiders face off with the Bengals in Week 15. Roberts (concussion) is listed as active for Sunday's game against the Steelers. Analysis: Jordy Nelson is slated to head the Raiders' wideout corps in Week 14, but Roberts and Marcell Ateman should also be factors in the Oakland passing attack Sunday, thanks to the team's thinned-out ranks at the position. Roberts (concussion) is listed as questionable for Sunday's game against the Steelers, Matt Kawahara of the San Francisco Chronicle reports. Roberts was added to the Raiders' injury report with a concussion and was limited in Thursday's practice. Roberts caught three of six targets for 25 yards during Sunday's 40-33 loss to the Chiefs. Roberts caught two of three targets for 54 yards and rushed for 11 yards on one carry in Sunday's 34-17 loss to the Ravens. Analysis: Roberts was finally able to surpass the 50-yard mark for the first time this season thanks in part to a 44-yard reception, but he's failed to find the end zone in four consecutive contests. Additional opportunities should arise in Week 13 against the Chiefs with fellow receivers Jordy Nelson (knee), Martavis Bryant (knee) and Brandon LaFell (Achilles) tending to injuries of varied significance. 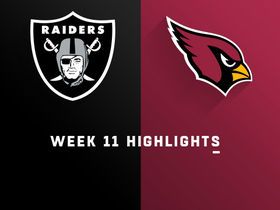 Roberts caught four of seven targets, putting up 38 receiving yards during Sunday's 23-21 win against Arizona. Analysis: Roberts was as involved as he's been all year, tying a season high with seven targets against Arizona and, in a longer-term perspective, collecting four or more targets in four of his past six outings. Roberts is seeing amplified opportunity with a plethora of injuries to the Oakland receiving corps, but he's no more than a WR4 opposing a Ravens defense that allows just 205.4 passing yards per game (second-best in the NFL). 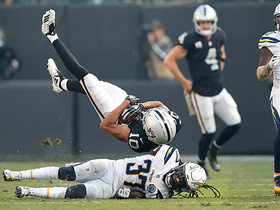 Roberts is expected to serve as one of the Raiders' primary receivers in Sunday's game against the Cardinals with both Jordy Nelson (knee) and Martavis Bryant (knee) ruled out for the contest, Scott Bair of NBC Sports Bay Area reports. Roberts caught three passes on as many targets for 39 yards in Sunday's 20-6 loss to the Chargers. 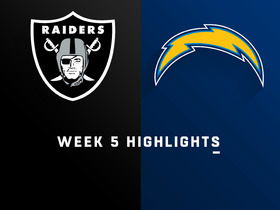 Analysis: Roberts was on the field for less than 30 offensive snaps for the first time since Week 5, but still managed to salvage a 39-yard performance while the Raiders offense continued to struggle. 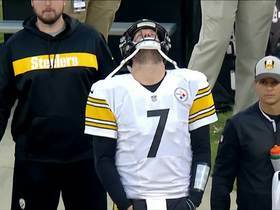 Both Jordy Nelson and Martavis Bryant are now being evaluated for knee injuries, however, so Roberts could see additional targets next week against the Cardinals. Roberts caught one of two targets for eight yards in Thursday's 34-3 loss to the 49ers. 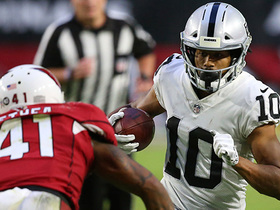 Analysis: Roberts had averaged nearly six targets per game in the Raiders' previous three contests, but was generally uninvolved Thursday night as the offensive line failed to protect quarterback Derek Carr. Roberts continues to start in the slot while Jordy Nelson and Brandon LaFell man the outside, but the former has been touchdown dependent from a fantasy perspective. 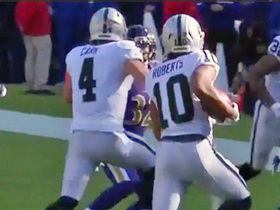 Oakland Raiders quarterback Derek Carr leads way for wide receiver Seth Roberts reverse and first down. Oakland Raiders quarterback Derek Carr drops a 44-yard pass in wide receiver Seth Roberts' basket. Oakland Raiders wide receiver Seth Roberts takes a pass from quarterback Derek Carr 20 yards. 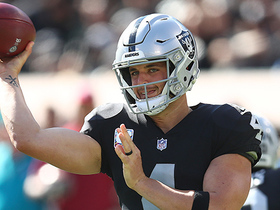 Oakland Raiders quarterback Derek Carr drops 31-yard touchdown in wide receiver Seth Roberts' bucket. 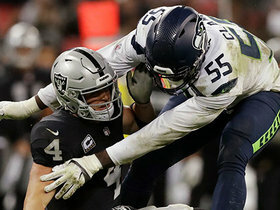 Seattle Seahawks defensive end Frank Clark forces sack-fumble in Oakland Raiders territory.